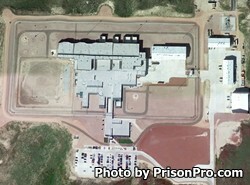 Wyoming Medium Correctional Institution was opened in 2010. The facility can hold approximately 720 inmates. This prison is a medium security institution for male inmates. The majority of inmates at this facility are housed for less then nine months. Wyoming Medium Correctional Institution operates as an intake and classification facility for all male inmates with the exception of those that have been sentenced to death. During the intake process inmates are finger printed, photographed and undergo a variety of assessments. Based on these assessments the inmates cognitive abilities medical and criminal history, programming needs, and security classification will be decided. The offender will then be transferred to a facility that can address their needs and custody requirements. The visiting hours for Wyoming Women's Center are unknown please contact the facility at the number provided. If you know the visiting hours please leave a comment below.